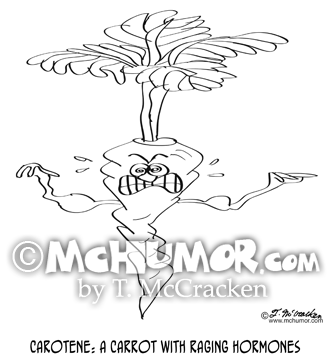 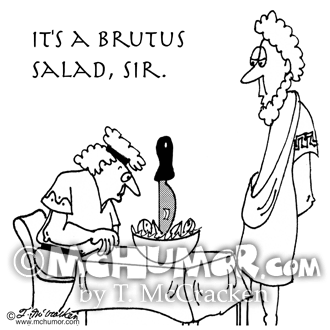 Vegetarian Cartoon 3032: Someone saying of a salad with a huge knife in it, "It's a Brutus Salad, sir." 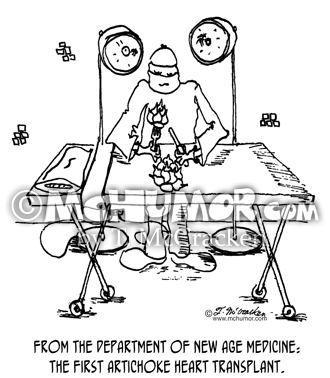 Vegetarian Cartoon 4916: "The real story behind the Princess and the Pea." 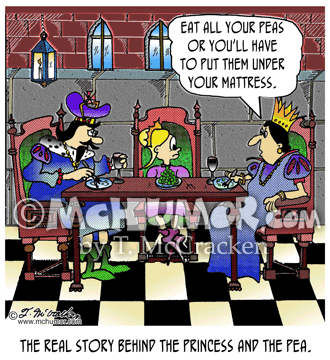 A queen saying to a little girl eating, "Eat all your peas or else you'll have to put them under your mattress." 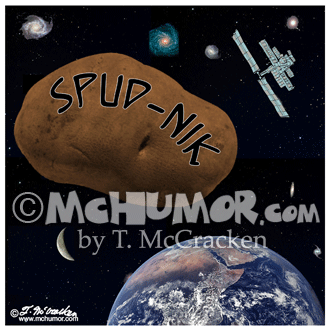 Space Cartoon 8600: "Spud-Nik." 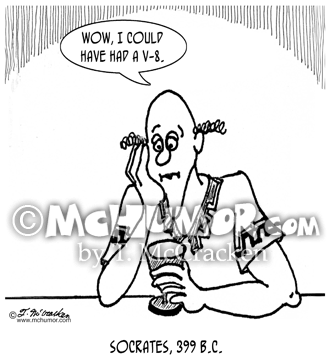 A humongous potato floats in space. 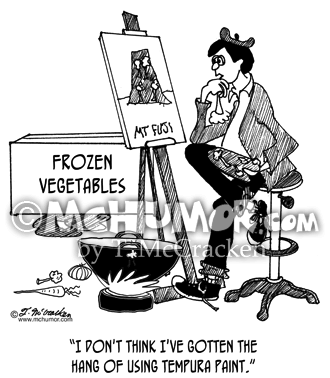 Painter Cartoon 4672: A man with a bunch of fried vegetables shows off a blobby painting of Mt. 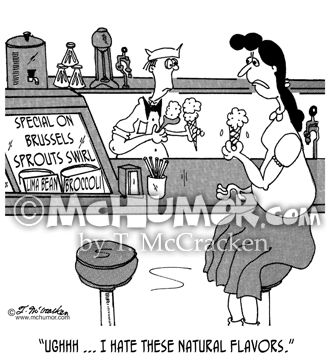 Fuji says, "I don't think I've gotten the hang of using tempura paint." 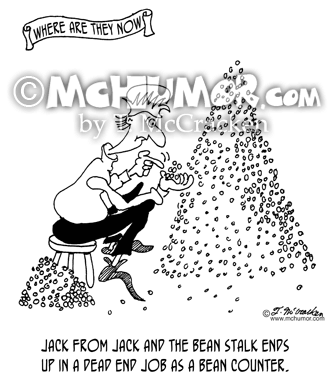 Accounting Cartoon 5811: "Where are they now: Jack from Jack and the Bean Stalk ends up in a dead end job as a bean counter." 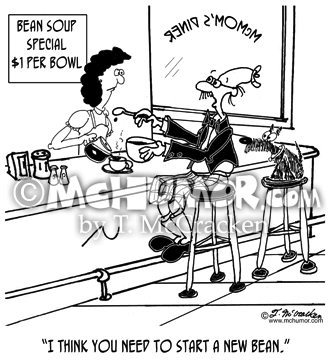 McMac Cartoon 7821: At a diner advertising "Bean Soup Special, $1 per bowl" a patron says, "I think you need to start a new bean."